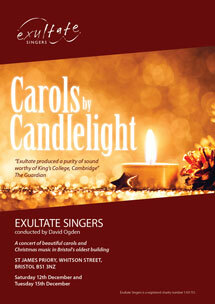 Exultate Singers performs an exquisite programme of Christmas music, the perfect preparation for the festive season. Come and enjoy a wonderfully atmospheric evening in the beautiful surroundings of Bristol’s oldest building, St James Priory. The ticket price will include interval refreshments of warm mince pies and a Christmas spiced fruit punch, together with a complimentary programme. Tickets for both concerts are sold out. 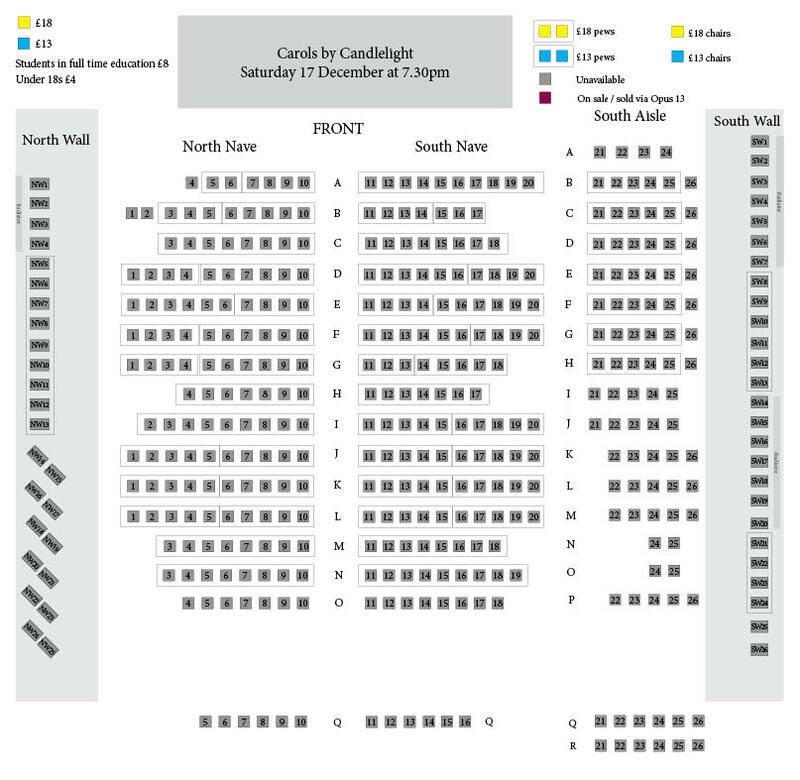 The seating plan is not clickable, but you can use the 'Notes' box in the online checkout process to request any particular areas or seats and we will do our best to assign those to you if they are still available.